On four days last year, from December 7 to 10 in 2015, two representatives of ICCLab and SPLab participated actively at the 8th IEEE/ACM International Conference on Utility and Cloud Computing (UCC 2015) which attracted about 150 academic and industrial researchers to the island of Cyprus where the University of Cyprus hosted the event close to the city of Limassol. The high density of technical talks, tutorials and poster presentations has conveyed solutions to the current and even near future issues in cloud computing. 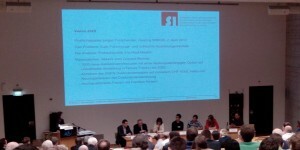 The 30th birthday of the Swiss Informatics Society (SI), held on Tue 25 June in Fribourg CH, concluded successfully with more then 200 participants who globally have attended the thematic workshops in the morning, the inaugural Meeting of the Swiss AIS Chapter and the plenary in the afternoon. We post hereafter relevant topics on the Cloud Computing workshop, moderated by ZHAW ICCLAB, and the award ceremony. 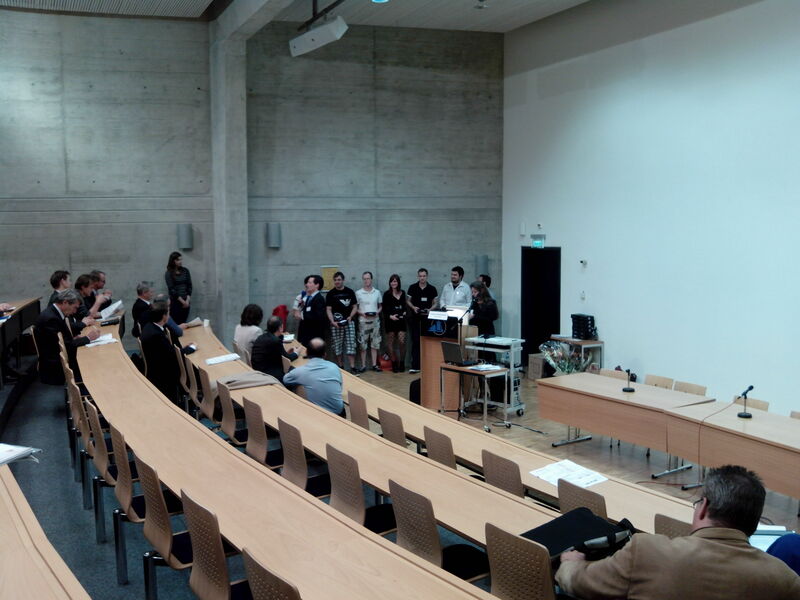 Workshop introduction, goals and activities on Cloud Computing at ZHAW. The Cloud Computing Special Interest Group (SIG), whose formation is coordinated by ZHAW ICCLAB, was introduced with its overall goals identified to stimulate the knowledge, implementation and development of Cloud Computing in Industry, Research, SMEs and Education. The Kick-Off meeting is foreseen in September (watch si-cc-sig or linkedin group for more details ). 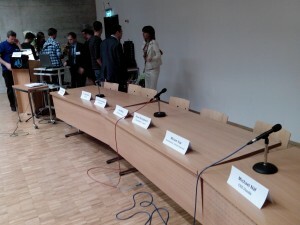 Further information were presented on the InIT Cloud Computing Lab (ICCLAB), Research Lab dedicated to Cloud Computing in the focus area of Service Engineering encompassing important research themes and cloud initiatives like: Automation, Interoperability, Dependability, SDN for Clouds, Monitoring, Rating, Charging, Billing and Future Internet platforms. The view of the scientific community on technological trends and the opportunities offered by Cloud Computing infrastructures. Interesting start of the workshop by the Project leader of SyBIT (SystemsX.ch Biology IT: SyBIT) with overview of possible cloud services for science and education, recommendation concerning commercial vs. selfmade clouds and possible pricing & billing models for science . Markus illustrated “why a new network architecture” with feature comparision of aging network technology (static) and current trend (dynamic) on global needs like cost effectiveness, agility and service oriented. The proposal was to look at new infrastructures based on SDN (Software Defined Network) and NFV (Network Function Virtualisation). NFV is concerned with porting network or telecommunications applications, that today typically run on dedicated and specialized hardware platforms, to virtualized Cloud platforms. 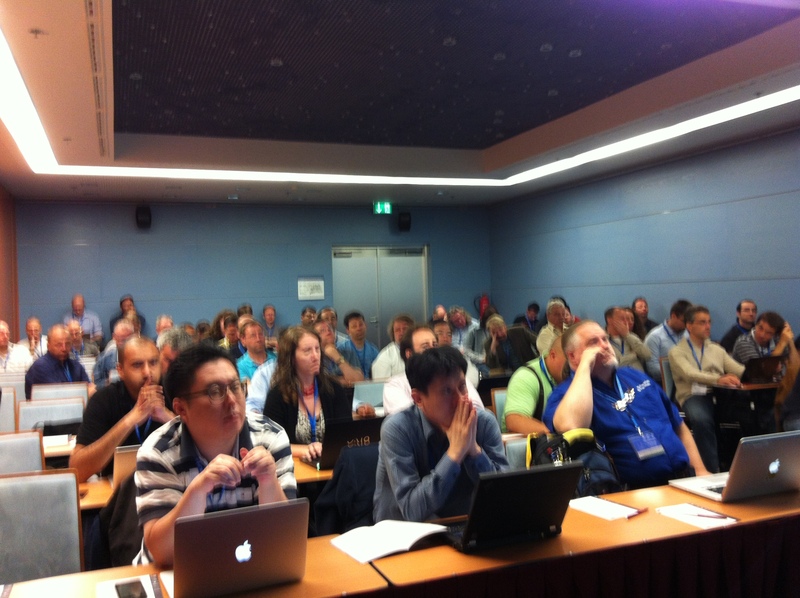 Some basic architectures were discussed and interplay of NFV-SDN. The presentation concluded with analysis of challenges for Cloud technologies today for communication oriented applications like: Real-time, Security, Predictable performance, Fault Management in Virtualized Systems and fixed / mobile differences. “The view of the scientific community on how cloud technology could be used as a foundation for building a national research support infrastructure”. Interesting and innovative presentation made by Sergio starting from the “why and what’s wrong” analysis through the initiatives in places (new platforms, cloud utilisation and long tem competitiveness objectives). 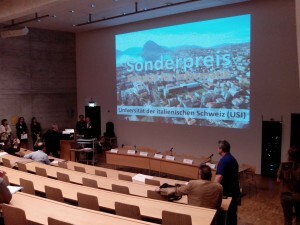 The presentation also made an overview of how this is implemented with National Research Infrastructure program (the Swiss Academic Compute Cloud project) and innovative management systems (a mechanism to collect community requirements and implementing technical services and solution ). The presentation concluded on the objectives and targets like: inter-operate, intra/inter access to institutional infrastructure, cloud enabled, research clustering and national computational resources. Switzerland based CloudSigma is a pure-cloud IaaS service provider, offering highly-available flexible enterprise-class cloud servers in Europe and the U.S. It offers innovative services like all SSD storage, high performance solutions and firewall/VPN services. Helping building the a federated cloud platform (Helix Nebula) that addresses the needs of big science, CloudSigma sees the biggest challenges and values to have huge data-sets available close to the computing instances. As a conclusion CloudSigmas offers the Science community to store common big data sets for free close to their compute instances reducing the cost and time to transfer the data. An overview of key capabilities of cloud based infrastructures like OpenStack and challenging scenarios were presented during this session. 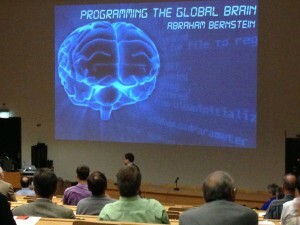 Aside from speakers and panel discussions, captivating student projects (Bachelors & Masters in Computer Science), from Universities and High Schools Specialty, have been introduced to illustrate the diversity of computing technologies. Selected projects by team of experts have been also awarded. The details on the student projects are available here. 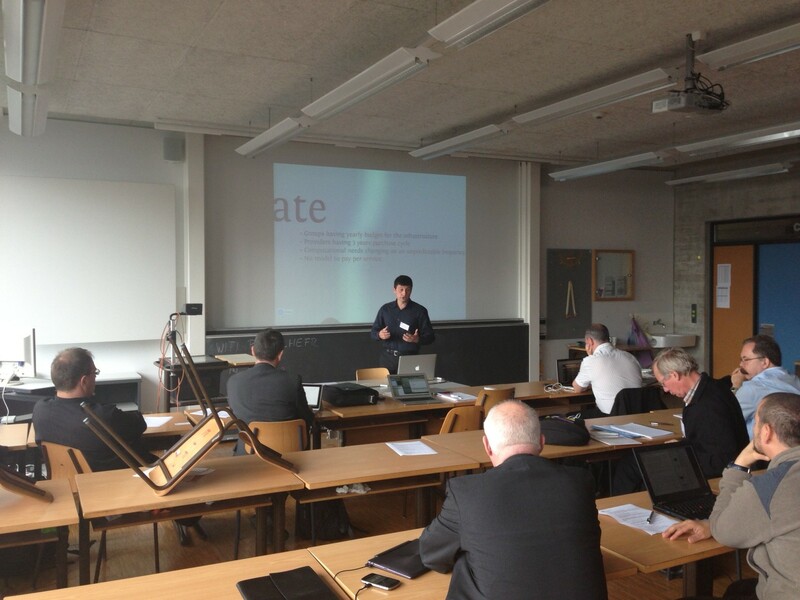 We presented at the Swiss Academic Cloud Computing Experience conference. Below are the slides as presented (or you can grab the PDF here). 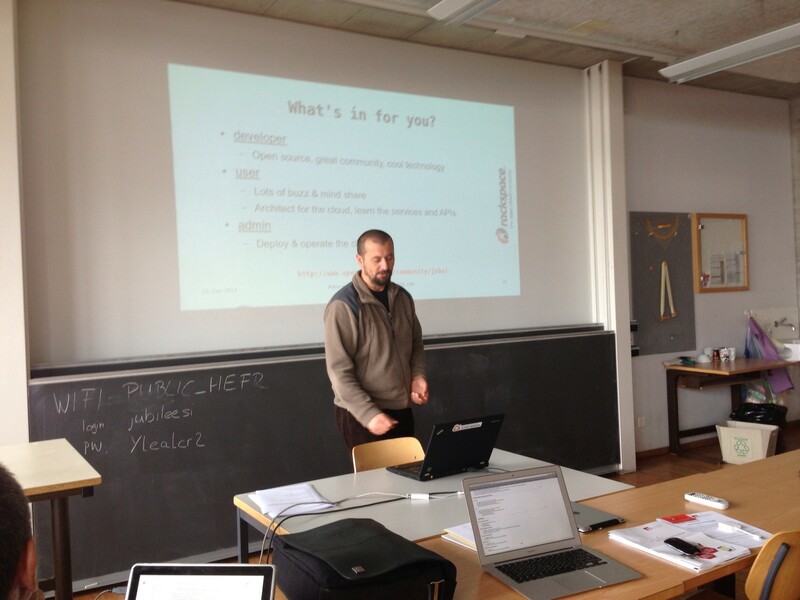 Last Friday Philipp from the ICCLab gave a presentation about SDN and OpenFlow to ZHAW master students. The big difference is that the average age of the students is higher and all of them are working for many years in the field of IT. Furthermore, most of them have a leading position in their daily work. The content of the presentation is not that detailed an covers basically the two whitepapers from the ONF and openflowhub.org about SDN and OpenFlow. We also talked about the available products in the field of OpenFlow controllers and why SDN in general is such an important thing for the datacenter providers, ISP’s or Carrier Ethernet. OK, we are vendor independent and have full control over the network but this means also, that we are responsible for it. Is it not easier for SME’s to have a ready made network component from e.g. Cisco instead of programming the logic by themselves? The centralized network controller looks like a single point of failure and without the network, most business applications will not work. Will the programmed network logic inside the controller not bee a huge bunch of code that was before distributed and small on every device? Concrete working pieces of code and open working network logic that is tested and maintained as e.g. spanning-tree modules. Testbeds and use-cases for implementation, migration and operation. Fully functional and easy to implement network controller modules. Integration and migration of our existing network infrastructure is exactly what we are planning to do at the ICCLab. I hope that more people will share their knowledge and experience about a successful migration of their classical network to a SDN based infrastructure. We would like to announce the 7th Workshop (Fachgespraech) on Next Generation Service Delivery Platforms, “Cloud-based Service Platforms for the Future Internet”, of the GI/ITG specialist group on Communications and Distributed Systems “Kommunikation und Verteilte Systeme (KuVS)”. At Winterthur central station take a walk to the campus, walking distance approx. 12 minutes. As the formerly divided Telco and IT industry continues to converge in the “Future Internet”, demand for “Cloud-based Service Platforms” is sharply rising. This important topic is thus made subject of this workshop and presentations are welcome in any domain related to cloud-based service delivery, that is service delivery and cloud hosting technology that adopts, exploits, consumes, or provides any kind of cloud attributes. It is the objective of this series of workshops to support intense discussions among researchers from industry and academia in this challenging area gluing together applications and different network types. This is the presentation that was presented at the [EGI Technical Forum 2012 in Prague](http://tf2012.egi.eu/). 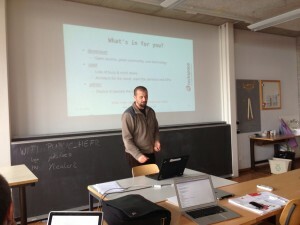 If you like, [download the slides as pdf](http://blog.zhaw.ch/icclab/files/2012/09/From-Bare-Metal-to-Cloud.pdf). There is also a youtube video showing the various stages of bring bare metal machines to a state such that they have OpenStack installed and operational. For those in attendance or those that are interested in how all of this is done, all information, HOWTOs, code, virtual machine images are available from this site. The talk had an excellent attendance and there is great interest in using OpenStack within the EGI FedCloud environment, especially one where the installation is automated as with our work. The ICCLab team presented gave a live demo of our [OpenStack cluster](http://www.cloudcomp.ch/2012/06/whats-powering-the-icclab/) at the /ch/open [Open Cloud Day](http://www.ch-open.ch/index.php?id=1034). It was an excellent day with many view points from governmental all the way down to Infrastructure as a Service and automation. The presentation given in this video and more details of the talk can be [found in this article](http://www.cloudcomp.ch/2012/06/icclab-presented-at-open-ch/). ICCLabs and GWDG will present on the topic of “From Bare-Metal to Cloud” at EGI Technical Forum 2012 in Prague. The ICCLab and GWDG had a shared, common problem, namely how to deploy infrastructural service technology (e.g. OpenStack, CloudStack etc.) 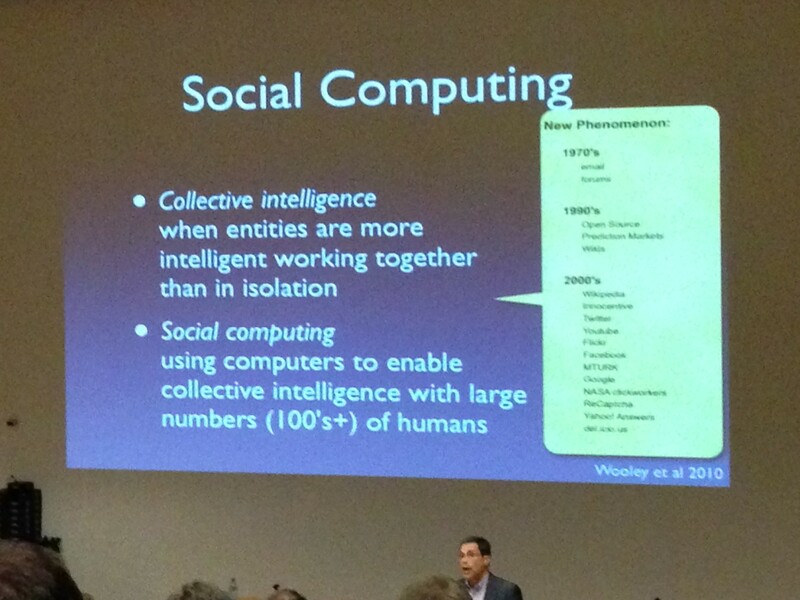 with the least amount of user interaction (i.e. automated) during the deployment process, across a large number of servers. The solution to be presented allows for the easy deployment of operating systems on to bare-metal (physical servers) and the deployment and management of specified software packages upon those provisioned bare-metal systems. To accomplish the combination of Foreman and Puppet was chosen. For the work, it was assumed that the network architecture, partitioning etc. is already determined. This presentation will detail what measures have been taken to automate the provisioning of OpenStack clusters at the two research labs. The presentation will describe the technology stack, discuss the individual technologies used and share the information with others. It will conclude with a demonstration of provisioning a multi-cluster OpenStack deployment upon virgin bare metal servers.